www.newmanfilms.net: DOCTOR WHO FILM (A GUESSED LEAKED CONVERSATION ) THOUGHTS? DOCTOR WHO FILM (A GUESSED LEAKED CONVERSATION ) THOUGHTS? I really hope the film is made with style and holds on to the series sensibility that we have come to love over he last few years since the reboot has received acclaim. The announcement that the films will be considered a separate continuity to the TV series is not an unexpected one; and it may even cross over (industry rumours suggest). Smallville proves several incarnations of the same character can work, (although debate rages within the core fan base). However its probably undecided as yet. It does however come down in this humble writers opinion to one thing, which may be encapsulated in the (all be it imagined) conversation that recently took place. Small Office Space in Las Angeles - Smartly dressed English gentleman, American with open collar, both drinking bottled water. What you got Bob, we’ve got to come up with something to announce. Yes, something handled a bit better than that Percy Jackson Malarky……Well we could do the whole Doctor Who thing……. 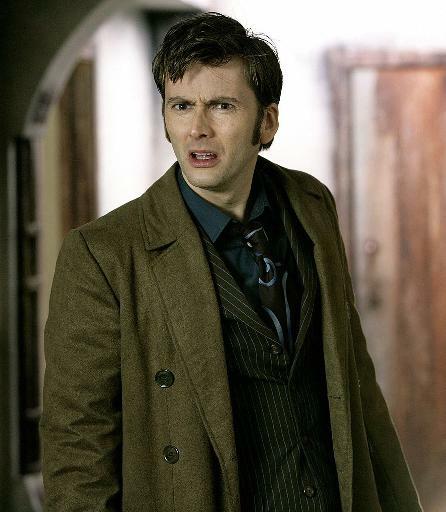 Well Showtime blew that one with that Torchwood right……what’s the difference, the hook, we're chasing dollars here.……? Well its more like the Bond Franchise…..You see? Well, you see the mythos of the show means that the audience expect some regenerations- the hero to change. The main character can die and change into a new actor, and its plot driven. Built in promotion on the internet and all that. Like Bond, but actually explainable within the story? Exactly, which proves handy in real life………with the actors I mean. If the star gets to big too greedy or old or annoying we recast him, and we don’t reveal who the new actor is until the new film……..WOW…......The series could run for years! The audience even expect the new actor, get involved in the casting chat! Do you realize the marketing potential if we do this right! Just don’t get the dude who did Edge of Darkness involved, or Prime Suspect, or Fitz. It’s ok Chad we actually care about this one!